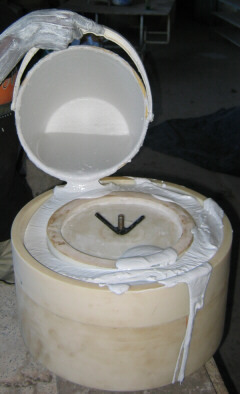 This method is used to make the master mould, from which other sets of outer moulds can be made to create additional moulds at a high rate. 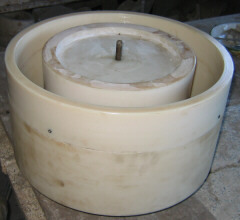 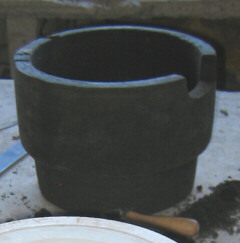 The nylon form shown in the series is actually the tool for holding the moulds when they are put into the Jigger to make the stove body. 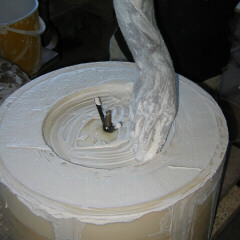 The tool is used to make a perfect master mould, drying slowly for more than a week. 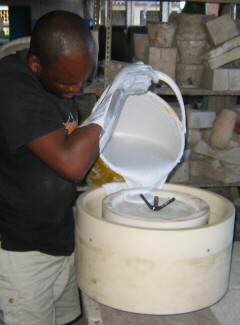 Following this, other sets of outer moulds can be cast around the master mould. 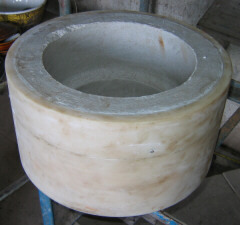 There can be many of them. 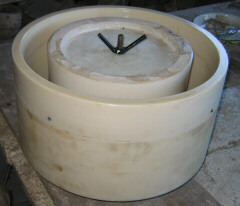 Each outer mould can be used to make several moulds per day, at least two. 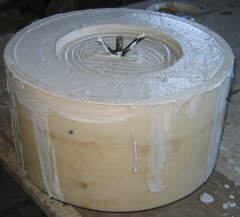 In this way the number of moulds required for mass production can be made, each virtually identical to the original master mould. 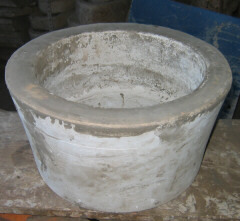 It is expected that to make 10,000 stoves a month we will need something like 200 moulds, produced from 2 or 3 outer moulds. 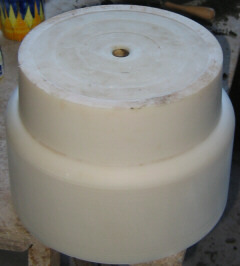 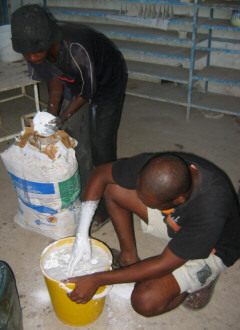 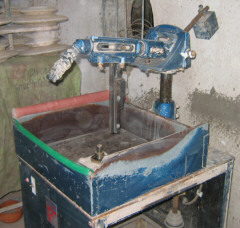 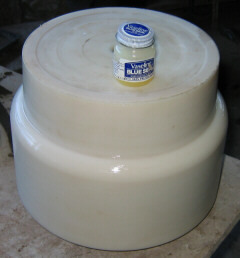 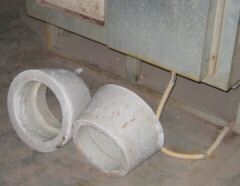 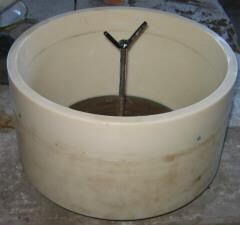 As demand rises, more moulds are produced to run through the Jigger. 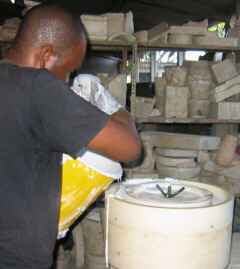 Each mould can produce 2 or 3 stoves bodies per shift. 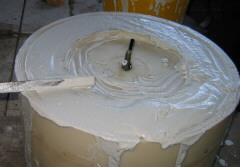 Pour in more. . .